An important aspect of a business letter, other than its intent and purpose, is its letterhead. A business letterhead is a must for all businesses, as it also serves as an additional advertising and branding tool. 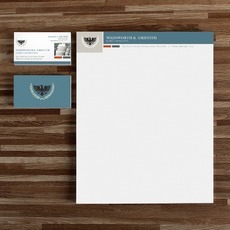 Most of these letterheads are made by using the same color template with their logo. As an important part of branding, logos are made to be easily remembered by the public, especially by the company's target audience. Disclaimer: The image on this page is not owned by UPrinting and is used solely for design inspiration. Please click on the image to see its original source. Once you've sent your business letters to other companies or to the public, the letterhead is the first thing that they will notice. As the saying goes, 'first impressions last.' You want to create a good lasting impression to your customers or your business partners. To do this, you have to be creative with your letterhead. 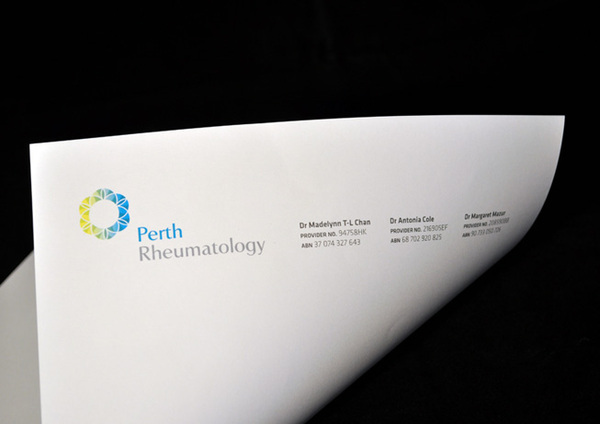 Remember, your business letterhead could possibly the only graphic image your customer sees in your letter and the rest is just black text on a white field. If you invested in creating an appealing logo and a catchy slogan, you'll be able to incorporate these easily within your letterhead. With this letterhead, you'll be able to catch a lot of people's attention and as well as customers. When you're done with designing your logo and letterhead, give us a call and we'll help you with your printing needs. UPrinting provides high-quality services at affordable prices. You may call us at 1-888-888-4211 for more information.